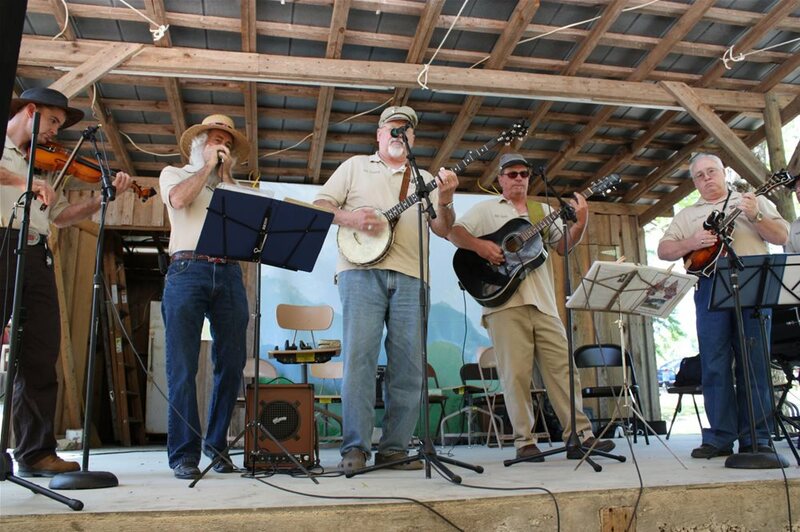 Lee County Gathering: Old-Time Music Festival, "Down From the Mountains" will be on April 26-28, 2019 at Pioneer Park. 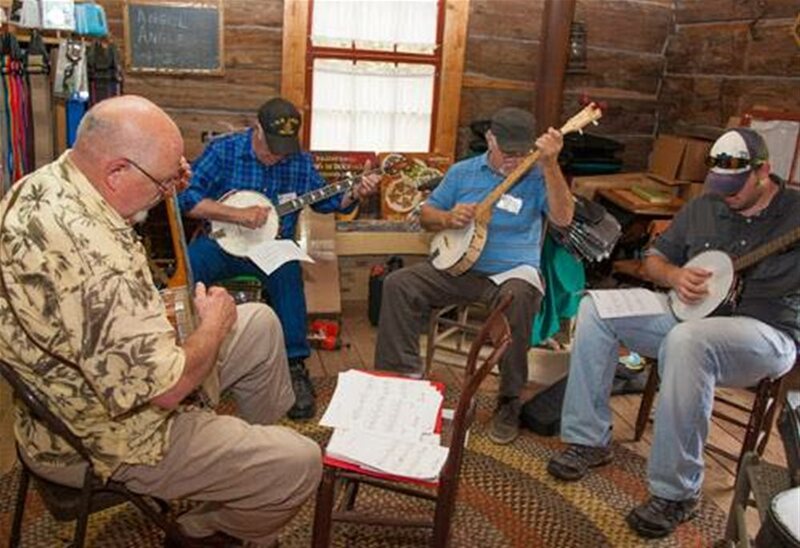 The Lee County Gathering: Down from the Mountains began in 2009 when four members of the society sought to bring old-time, traditional music on historical acoustic instruments to the area. Since that time, more than 700 people have attended the event, from all over the United States. Registrants have come from all the surrounding states as well as Texas, Michigan, Indiana, and New York. The instructors have always been a mixture of nationally known and awarded recording artists and musician/instructors and very talented local musicians. This year’s line-up is no different. The schedule is a little different this year. Friday, April 26th will be an all-day jam. All area musicians with acoustic instruments are welcomed to join in the fun. Friday is an admission free day, and will end with a covered-dish supper at 5:30. All instructional classes will be held on Saturday, April 27th. Sunday will be a 9:00 a.m. hymn sing followed by private lessons from the instructors. These private lessons are arranged by the individual instructors and fees are paid directly to them. 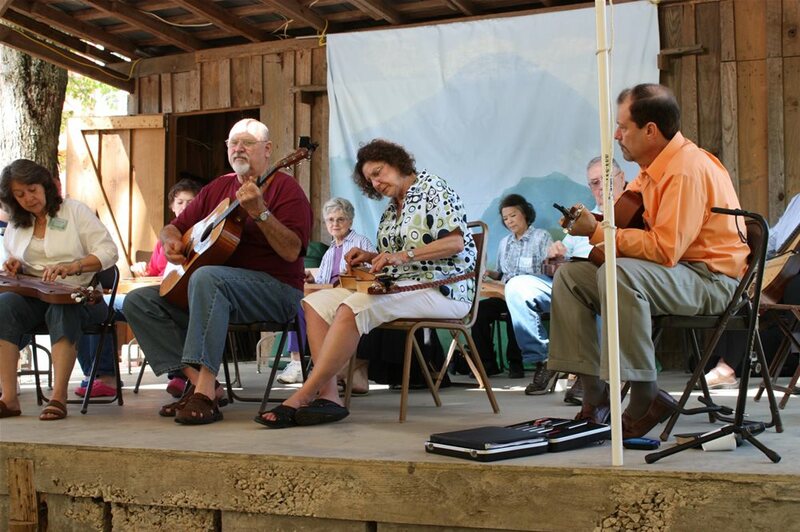 Headlining the mountain dulcimer classes is the 2007 National Dulcimer Champion, Dr. Joe Collins of North Carolina. In addition to Joe, we will feature the bluegrass, Celtic, and old-time music of Jim and Cheri Miller from Tennessee teaching hammered dulcimer and mandolin. Sharrie George, usually part of the Guy and Sharrie Duo from the Dayton area will bring in her vibrant and fun instruction skills, teaching traditional and Celtic tunes on ukulele. Local musicians, Bob Taunton (banjo and bass) and Cindy Mask (autoharp) will round out the faculty. All instructional classes will be held on Saturday, April 27th, from 8:30 a.m. until 4:30 p.m. Saturday will end with an instructors’ concert at 7:00 p.m. Please use the Lee County Gathering registration page inserted into the Trails to register for the festival. As a reminder, Friday and Saturday events are free. Breakfast and lunch will be available Friday and Saturday of the festival at the Pioneer Park Cookhouse. The breakfast menu will feature sweet-potato and sausage biscuits. The lunch menu will feature grilled hamburgers and hot dogs with all the “fixins.” Plan to come out and enjoy the music: play, sing, dance or just listen!